She’s Back!! After sold out runs in 2014 & 2017, we couldn’t resist one more visit by everyone’s favorite precocious little Parisian. “In an old house in Paris, covered in vines, lived 12 little girls in two straight lines.” And with that familiar phrase, author and illustrator Ludwig Bemelmans sets in motion the adventures of the brave and resourceful Madeline! 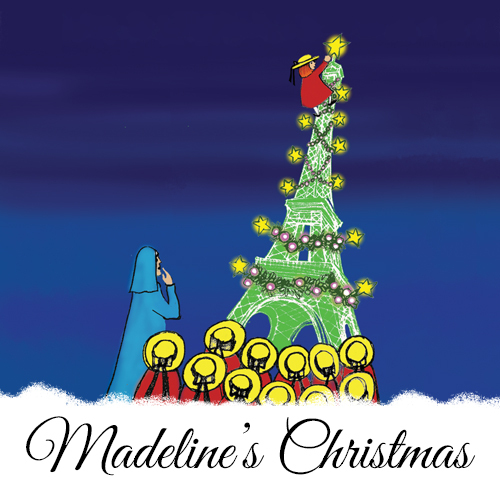 In this musical adaptation, Madeline’s schoolmates and tutor are all sick in bed on Christmas Eve, unable to go home for Christmas to be with their families. So it’s Madeline to the rescue! And with the help of a magical rug merchant she takes her friends on a Christmas journey they will never forget.